Hulu is a premium US streaming service but if you’ve tried to access it outside the US then you’ll be disappointed to find it blocked. 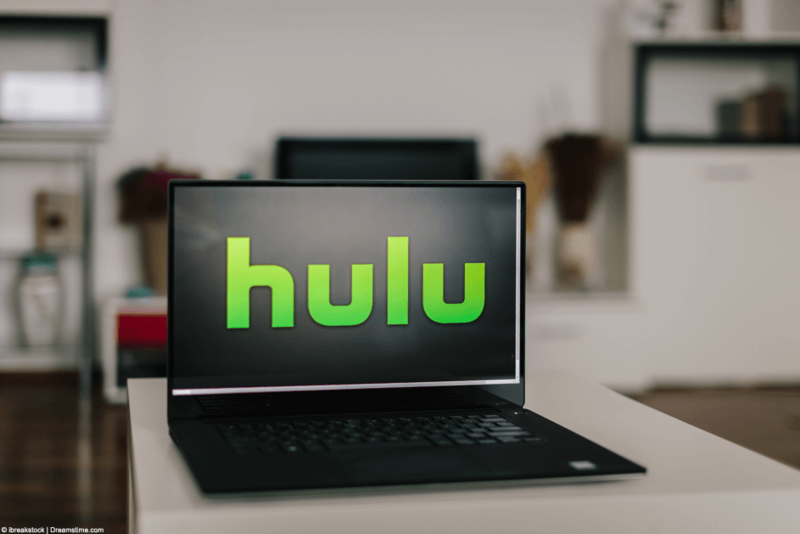 In this guide I’m going to find out which is the best VPN for Hulu that will allow you to access your account or sign-up from outside the United States. If you’re like me and pay for a service then you want to access it regardless of where you are in the world and all of the VPN services below will allow you to do that regardless of your location. If you don’t currently have a Hulu account and you’re outside the US then you’ll need to sign-up first. If you don’t have a US payment credit card then you’ll need to fill in the details as if you do and when you receive the error message that your card isn’t US based then quit the browser and revisit the site. Your account will now have been created. You can then buy a Hulu gift card from Ebay, PCGameSupply, MyGiftCardSupply, Walmart or elsewhere and use it to pay for the service from outside the US. You will then still need a VPN service to watch Hulu content so let’s find out which is the best VPN for Hulu. VyprVPN is one of the largest VPN providers that work with the Hulu service which makes them our number one best VPN for Hulu. A selection of servers across the US will help you watch Hulu regardless of where you are in the world. The first server I tested in New York worked fine and allowed me to stream Hulu from the UK. Alongside the New York server, VyprVPN also has servers in Austin, Chicago, Los Angeles, Miami, San Francisco, Seattle, and Washington. VyprVPN will be suitable for watching the No Commercials or Limited Commercials packages from Hulu anywhere in the world or if you’ve signed up for a free trial then you’ll also be able to watch that. The service is extremely easy to use with software for Windows and Mac computers and apps for Android and iOS. Within just a few clicks you can connect to one of many US based servers and stream Hulu around the world. Packages start at $6.67 per month if taking an annual service but I recommend you sign up to their mid-tier package at $8.33 a month because it utilises a higher encryption (OpenVPN) so not only will you be able to stream Hulu but you’ll also be well protected online. VyprVPN offers a 3-day trial, just enter your payment details and if you’re unhappy simply cancel and you won’t be charged a cent. ExpressVPN is another large and reliable VPN provider that works with Hulu. There are massive amounts of US based servers on the service but not all work with Hulu. I tested their “New Jersey – 3” server which worked fine although their New York server was blocked. You’ll need to play around with the various servers as some are blocked and others work fine. The benefit of having so many servers in the US and around the world is you have the option to connect to other connection points. If one doesn’t work with Hulu then another is sure to. One of my favourite features of the ExpressVPN service is their massive 30-day money back guarantee. You can use the service for a number of reasons including streaming Hulu overseas to see if it’s suitable for your needs. If you’re not happy with the service or it doesn’t do what you need then you can cancel and get a full refund. Software is available for PC and Mac with apps available for Android and iOS. An added bonus for Linux users is there is also a Linux client so if you’re looking for wide availability over a selection of platforms then ExpressVPN might just be the solution for you. If you sign up for an annual service then you can expect to pay $8.32 per month but if you want to pay on a monthly basis then it’s going to cost $12.95 so it’s worth considering signing up for a longer period for the savings. StrongVPN takes third spot in my best VPN for Hulu choices. Like ExpressVPN the service works fine for Hulu but you may need to try a handful of servers to find one that works for you. I made use of their New York server which worked fine for me and I was able to stream Hulu with no issue. I tested the service on a Windows system and while the software isn’t the prettiest it does do the job. Regardless of your skill level, you will be able to connect and watch Hulu overseas with minimal fuss. StrongVPN also provides software for Mac and apps for Android and iOS so regardless of what device you use you’ll be able to access Hulu. A 5-day money back guarantee is available and although this isn’t as long as some of the other providers it will give you enough time to try the service for watching Hulu and other needs to see if it’s suitable for you. StrongVPN will set you back $10 per month on a monthly basis or $5.83 a month if you sign up for a year. LiquidVPN makes a great option for Hulu because they’re one of the smaller VPN providers. You may think bigger is better but in the case of streaming Hulu this isn’t the case. When Hulu introduce a round of VPN blocks they often look to see how many people are accessing from the one point or one IP Address. Once they see many connections from the same location it’s easy to distinguish that as a VPN provider. LiquidVPN has the bonus that fewer users will be utilising the service for Hulu and so they’re a lot less likely to be blocked. One of my favourite features of their service is they’re the cheapest provider listed in this guide which means not only can you stream Hulu anywhere in the world but you’re also able to do that at a crazy low price of just $4.75 per month when taking an annual package. In my tests I also find LiquidVPN to be one of the fastest providers so you shouldn’t suffer any buffering problems as long as your local internet connection is reliable. Like the other providers there is a money back guarantee. This is 7-days from LiquidVPN so there is nothing to lose. VPN.ac like LiquidVPN above have the advantage of being a lesser known provider. They have quite a few servers though with a good selection in the US. Again being a lesser known provider means they’re a lot less likely to be blocked from accessing Hulu. VPN.ac have servers all over the US giving you a good choice when it comes to watching Hulu. They’re also really well resourced as most of their servers aren’t heavily in use so buffering won’t be an issue for most people. At just 5 cents more expensive than LiquidVPN when taking an annual account they’re also one of the cheapest options listed here at just $4.80 per month. Windows, Mac, and Android are covered but if you want to use iOS you’ll need to manually set-up. One of the best features of the service is you can use it on up to 6 different devices. This means the whole family could potentially watch Hulu on 6 different devices at any one time. Finding a VPN service for Hulu can be a difficult task after they cracked down on VPN providers last year. VyprVPN is without a doubt the best VPN for Hulu based on the service available, the price and of course the simple fact that they work with Hulu whereas many other providers don’t. I was also highly impressed that they give you a free three day trial that doesn’t cost anything which is an added bonus. It’s worth remembering that often some VPN providers have servers in the US that work and others that don’t. For this round-up I mainly tested servers based in New York because they were the closest to my location in the UK when testing Hulu and gave the best speeds. This avoided any buffering. Once you’ve signed up it’s worth trying a few of the servers of the provider to see which ones work with Hulu and give you the best streaming experience. Remember all the providers above offer money back guarantees so if you find that you can’t get it to work, it’s too slow or Hulu unleashes another round of blocks that stop certain providers working then you can simply get your money back no questions asked.